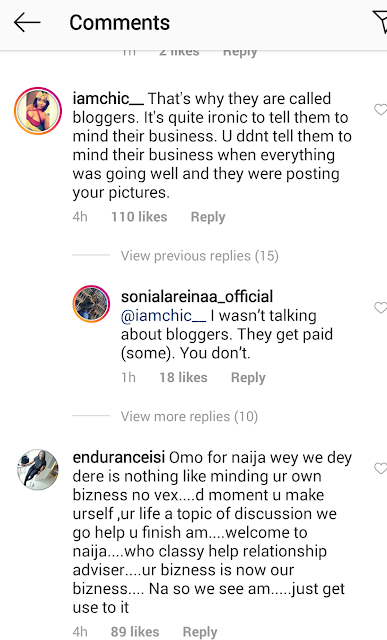 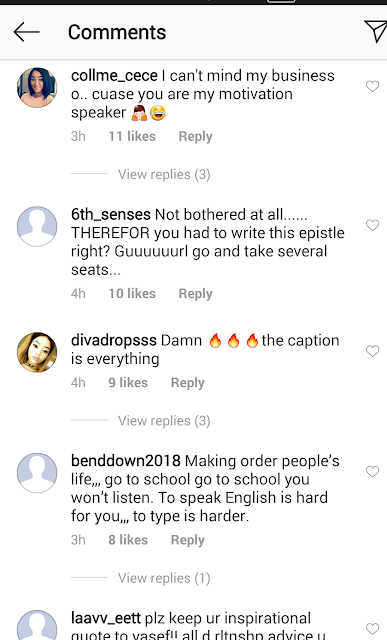 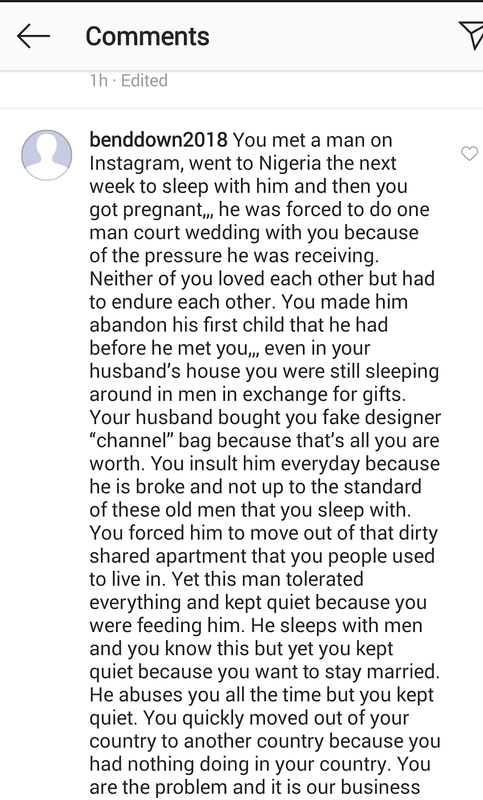 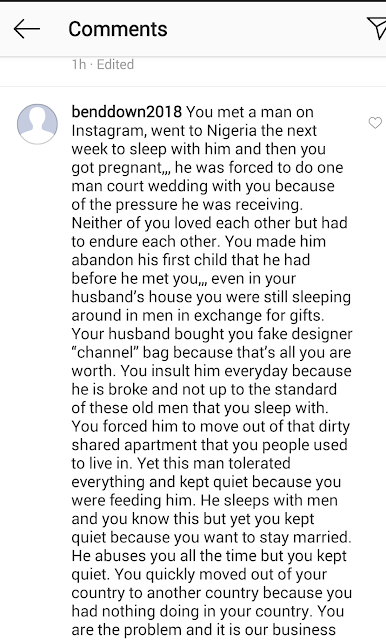 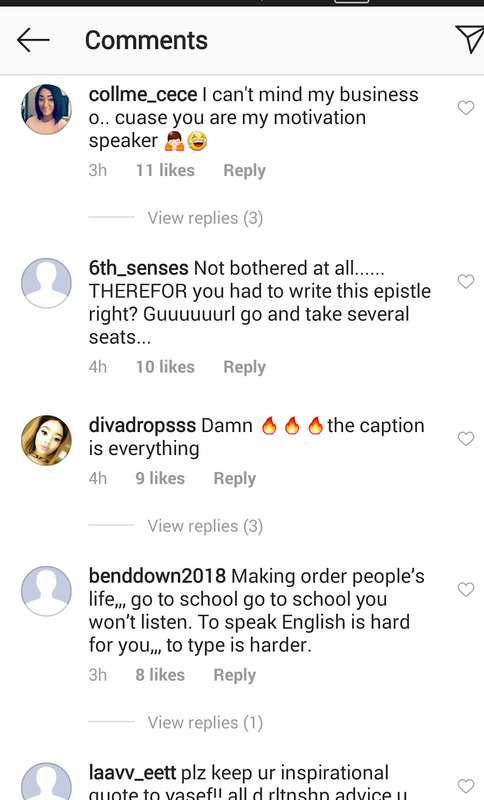 Followers slam Sonia Ogbonna for asking them to mind their business. 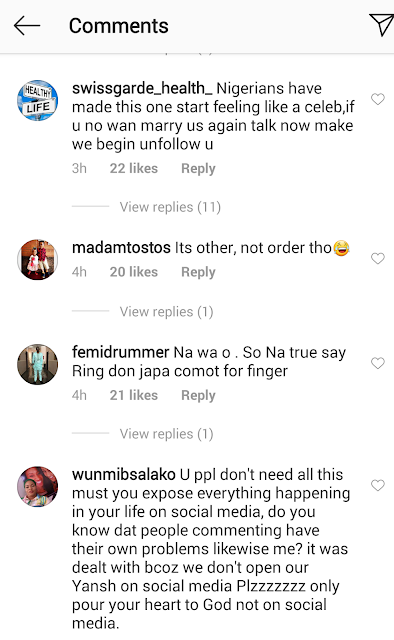 Sonia Ogbonna whose marriage to Nollywood actor IK has reportedly hit the rocks has been very busy on Instagram lately. 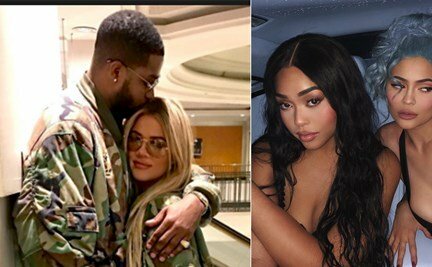 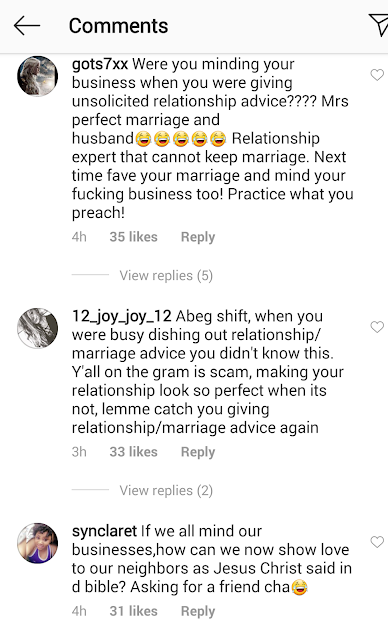 While she continues to post veiled message about her marriage, her fans are starting to get curious with some directly asking her to confirm if her marriage is over. When she told them to mind their business, many fans were not having it and slammed her instead.